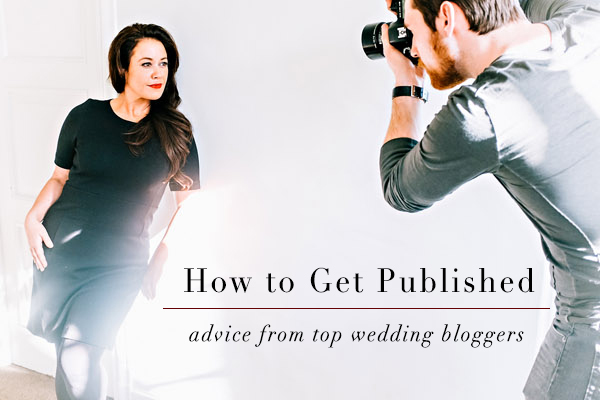 Getting your work published on a wedding blog is not only a testament to the quality of your photography, but it’s a free marketing technique that drives potential clients your way. 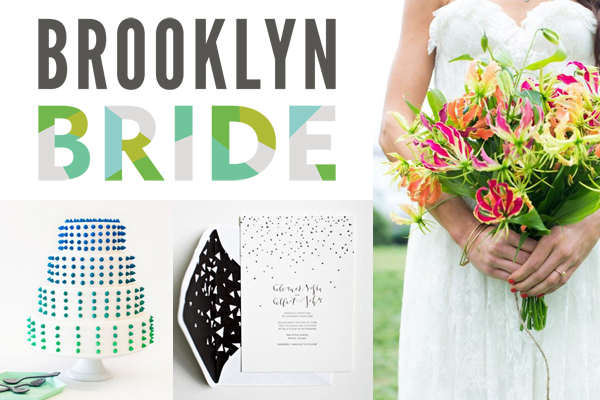 It’s also a fun way to celebrate your couple once more after the wedding. However, every blog is different when it comes to what they feature and how they accept submissions. Some blogs want you to submit only film photography, while others are looking for an edgier couple. To help you submit successfully, we’ve rounded up the world’s top wedding bloggers to share their editorial process. So, sit back and prepare to become a submission genius! What is a big turn off for your editorial team? Process photos with heavy filters and moody couples who don’t look like they’re happy to be getting married. One piece of advice for photographers? If you’ve seen the details before, we have, too. Details aren’t the only things that matter to us, but we do want to present interesting and unique wedding to inspire our readers. Just weddings? Weddings are our bread and butter. We also publish engagement sessions on our Facebook page, and a few styled shoots very selectively. How to submit to Southern Weddings: You can view our full submissions guidelines here and our tips for getting your wedding published in print with us here. Describe Your Blog: Alternative, offbeat, colourful, creative, DIY, budget-friendly, unique. What’s the recipe for a good wedding submission to your blog? Great photography, lots of unique details and ideas, happy smiling faces. What is a big turn off for your editorial team? When people don’t use my name or their email is impersonal, when people send huge high res files embedded into emails, when people send multiple emails for one submission… Basically when people don’t follow the submissions guidelines! I also don’t understand people’s obsession with dancing photos, I very rarely publish them! One piece of advice for photographers? I always look at the photos before I read anything so be careful about your image selects. About 10-20 photos is plenty for an initial submission and I am most interested to see the details (the flowers, the cake, the centerpieces) and portraits of the couple and bridal party. Just weddings? I mostly feature weddings and the occasional styled shoot (very occasional and it has to be exceptional and very unique!) I haven’t featured a boudoir or engagement shoot in a long time but I don’t rule them out, I just haven’t been dazzled by anything recently! 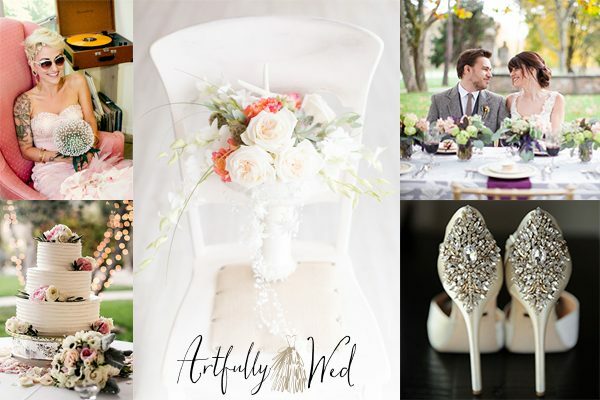 Describe Your Blog: Artfully Wed’s aesthetic is all about finding the art in love! We like to think of ourselves as a muse, inspiring you to create the wedding day of your dreams. We favor creativity, fine art photography, personal details and romance, all laid out in a clean and uncluttered format for you to enjoy! What’s the recipe for a good wedding submission to your blog? – A brief but detailed description of the submission – this can include the couple’s story, favorite details from the day, etc. What is a big turn off for your editorial team? This one is easy to avoid, but definitely ruffles some editorial feathers when we encounter it: When we review a submission and all of the images are tagged with another blog’s name. Ouch! No one wants to feel like second place, so it’s probably best to name your photos with something that doesn’t include the blog name, just in case you forget to change it in between submissions. One piece of advice for photographers? Curate! It’s as simple as that. When you carefully select the best images to tell the story of the day, highlight the details, showcase emotions, etc., we know you’ve taken the time to make the submission the best it can be! We’d prefer not to see every single photo you took, nor four versions of the same pose. We just want to see the wedding through your eyes as an artist, sharing all of the most important moments. Just weddings? We accept real weddings and styled shoots, along with the occasional engagement, elopement, bridal portrait or anniversary shoot. Describe Your Blog: In a word, modern. What’s the recipe for a good wedding submission to your blog? Not afraid of color, great details, overall sense of the day. What is a big turn off for your editorial team? When its addressed to another blog, or when they think its a PERFECT fit for BB, when clearly they haven’t done their research. If the words “vintage” or “rustic” shows up in the description, you’re barking up the wrong tree. One piece of advice for photographers? Pay attention to who you’re submitting to and do your homework. A nice personal note doesn’t hurt either! Just weddings? I take pretty much anything, as long as its modern. 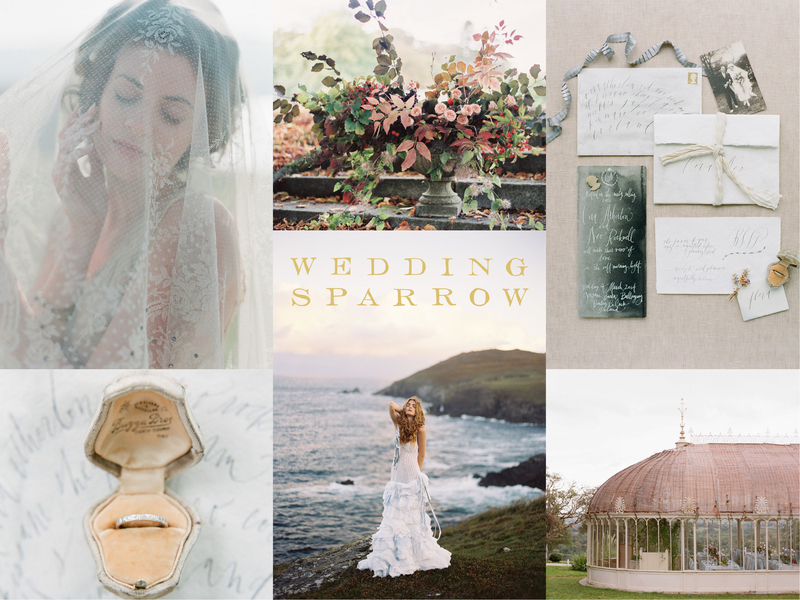 Describe Your Blog: Wedding Sparrow loves light, natural and organic imagery filled with original, editorial and quality styling. Being the world’s only all film blog means our aesthetic remains consistent and our brides love to be inspired by its high end look and feel. What’s the recipe for a good wedding submission to your blog? Great submission to Wedding Sparrow consist of film only images, original content (we don’t want to publish the same inspiration over and over again!) with an authentic style. For real weddings we love to see the couple’s personality shine through (whether that’s an ode to their families or a colour palette that is inspired from their experiences together) with plenty of details to inspire readers. For editorials and styled inspiration we love to see originality and authenticity. Keeping the props and details appropriate to the story of the editorial is key! We don’t want to see a bride holding a golden pineapple if it makes no sense to the story! What is a big turn off for your editorial team? Big turns off to us include repetition of other editorials we’ve seen before, random props (typewriters in a field anyone? ), disjointed submissions, submissions with no underlying story (we love to know the reason behind the wedding or editorial), not following the submission guidelines online (image in high res, no vendor information provided, non working links to images), and not personalising a message to the editor! One piece of advice for photographers? A great piece of advice to anyone who’d love to feature their work on Wedding Sparrow is to research the blog to ensure your style matches ours. If you’re submitting an editorial or styled shoot make sure we haven’t published something similar recently. We love to see something new and original on the blog and so do our readers! What is a big turn off for your editorial team? The biggest turn off would be photos that are over processed. One piece of advice for photographers? 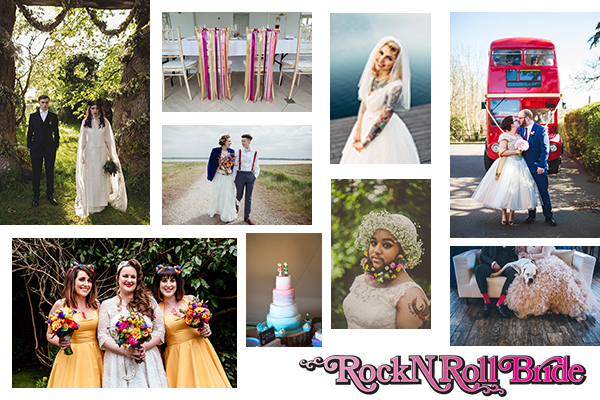 We receive hundreds of weddings and styled shoots each week – anything you can mention that makes your’s stand out from the crowd, mention that in the write up! We want to know what makes your submission stand out and grab our attention. Just weddings? 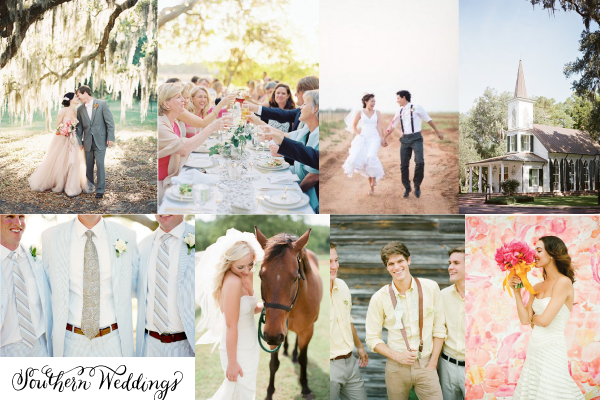 We accept weddings, styled shoots, engagement sessions, bridal showers and proposals. How to submit to Green Wedding Shoes: Our favorite way to receive submission is via our submission form on our side. We do also accept submissions via TBL. Describe Your Blog: We’re undergoing a redesign at the moment, but while the blog itself is in transition, our aesthetic for stylish weddings won’t really change. We love reams of natural light, candid and romantic portraits and the kind of detail shots that couple will want to pin as inspiration for their own big days. We feature a mix of photography styles, but tend to fall a bit harder for airy, natural photographers who use minimal processing and not too much saturation. The kind of shoots and wedding we feature vary from rustic or classic to modern or bohemian, but a couple with great style of a shoot with a unique concept will always catch our eye – and flowers, we LOVE flowers! What’s the recipe for a good wedding submission to your blog? A submission that comes in the right format is instantly more helpful, (we like Dropbox, Pass and WeTransfer), a (short!) personal account of the day from the photographer always adds a little colour to a submission – if they’re excited about a wedding, we will be too – and perhaps a sense of why they think it’s a good fit for us. The images themselves are the most important thing though, a good mix of vertical and horizontal image, plenty of detail shots (the bride’s hair, the bouquet, the cake, the table decor), and a good spectrum across the day (getting ready, ceremony, cocktail hour, first dance, etc.) that creates a real narrative to the story. Don’t include too many photos, I think 70-100 is perfect – less that 50 doesn’t give us enough choice and there’s nothing worse than sifting through hundreds of similar shots to pick the best 40! What is a big turn off for your editorial team? We love building friendly relationships with the professionals we feature, so it’s off-putting if a photographer sends a canned email and hasn’t addressed it to us personally, (our names are all over the blog!). It’s an easy thing to do and makes all the difference in the world. One piece of advice for photographers? Really look through a wide selection of our recent weddings and shoots and be realistic on whether or not you see your work sitting in among them. We do have a varied style but there’s definitely a clear aesthetic in there for weddings that are cool, unique, creative, romantic, international and stylish. We often get beautiful submissions that would be perfect for another blog but just aren’t the right fit for us. If a photographer spends a little time working out which blogs match their style, and the ind of weddings they photograph, align with, it will save them lots of time on the submission process. Just weddings? We don’t often feature engagement shoots or boudoir shoots, as weddings and styled shoots tend to attract a lot more interest from our readers, and we’re actively looking for diverse submissions with every race, nationality, age, size, gender. 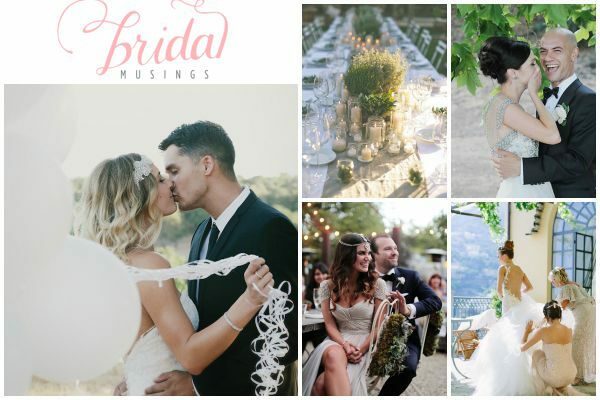 How to submit to Bridal Musings: We accept submission on Two Bright Lights via Dropbox or WeTransfer to info@bridalmusings.com. You’ll find our submissions guidelines here. We love submissions and it’s always a privilege when a photographer wants their work featured on Bridal Musings, so if you think your wedding or shoot is a good fit, please do send it our way! 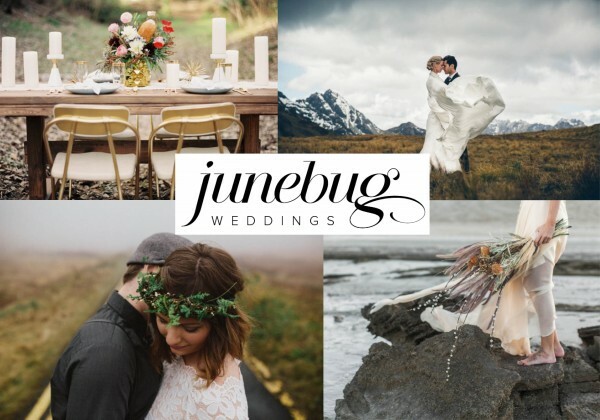 Describe Your Blog: Junebug aims to inspire couples to plan their wedding with more than just the details in mind. 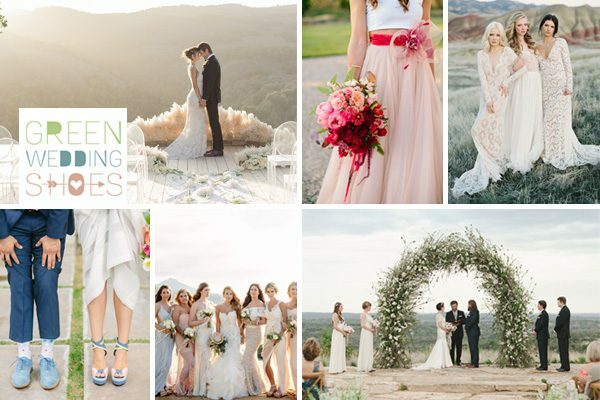 We love heartfelt, sentimental weddings that celebrate couples in unique and creative ways. Aesthetically, our editorial leans towards natural lighting and modern styling. What’s the recipe for a good wedding submission to your blog? Curated images that tell the story of the day, a stylish couple, inspiring photography, and a story worth sharing. What is a big turn off for your editorial team? Outdated style and heavily edited photos. One piece of advice for photographers? Be nice and get to know the people behind the blog. A little kindness goes along way. I can honestly say that the photographers we work with who treat us like actual human beings are the photographers we feature most. Coincidentally, they also seem to have better connections with their couples! Just weddings? We accept everything from real weddings to boudoir shoots. How to submit to Junebug: We have a submission form, which you can find here! We accept images through Dropbox, Pixieset, Hightail, and WeTransfer. We do not use TBL, so if you have sent a submission to us via this website, please resubmit using our form. Thanks so much to all of our blogger friends who contributed! If you run a top wedding blog and would like to add your two cents to this guide, please send us an inquiry here. Thank you for the generous, shared insights. Enjoy your continued success! Thanks for sharing this info! I’m on the hunt for wedding sites that are open to wedding video submissions. Even though the focus of the article was aimed at photographers, all the info you shared is relevant and beneficial to know on the video side as well! Thanks again! This is exactly what I was looking for. Thank you so much! Thank you for sharing this helpful knowledge. I really love this. The Winter Gardens is a truly gorgeous glass house venue, making the perfect backdrop for this sentimental wedding. Full of bright homegrown flowers and DIY travel and book decor, paying homage to both their hobbies and interests. Not forgetting a special appearance from a much loved family pet and an adorable vintage bicycle. he Winter Gardens is a truly gorgeous glass house venue, making the perfect backdrop for this sentimental wedding. Thanks to everyone who contributed to this blog and thanks for putting it together Carrie! I would like to start working with bloggers but it is completely uncharted territory to me and this post helped a lot! There’s no end to the blogs I have visited to publish my wedding in the best possible manner. This was indeed a perfect blog displaying the professionally shooted images and giving the photography, the real life colors. I’m in the process of submitting my first wedding, so reading this was great. Fantastic advice. Thank you for sharing these useful tips. I really love this. Great tips! Thanks for the write up guys! I am spending so many hours reading through these helpful blog posts today!! Thank you for sharing this. And I love how you featured so many different types of blogs! One very useful content for every photographers. Thank you for sharing such quality blog with us. Thanks for sharing such a wonderful artical. Carrie – Great post. Thanks for sharing. I’m forwarding this to our photographer. Hey! As a starting wedding photographer I feel like i do not have enough courage to get close to my subjects. I feel like this might be the very fact that’s keeping me from getting my pictures to the next level. Do you have any advice to give? Thanks! Great post. Thanks for sharing. I’m forwarding this to our photographer.